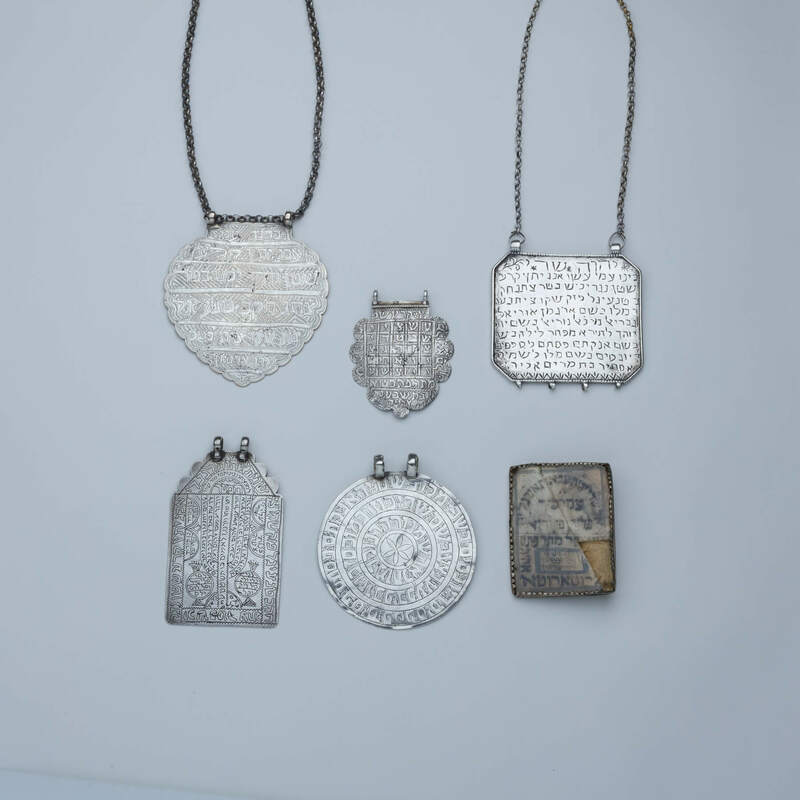 A GROUP OF SIX LARGE SILVER AMULETS. Middle Eastern, 19th and 20th century. Various sizes. Each inscribed with protective prayers.